This Corona from Hoyo de Monterrey seems to contradict the capricious choice of formats of this range. 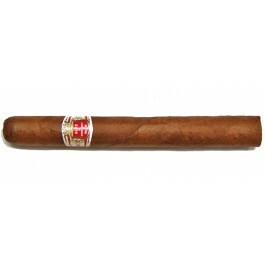 It is perhaps the junction between the traditional Habano and those of the new generation. It has very similar features and qualities to the Corona from Saint Luis Rey. A deep complex earthiness with some cedar notes. Rare hints of caramel. A woody final. This vitola has an overall sweet character.